St. Michael is one of the two small shallow wrecks at Zonqor Point in Marsaskala on the southeastern coast Malta. St. Michael was a former tugboat working in Grand Harbour of Valletta. She was purposely scuttled in May 1998 together with another tugboat, Number 10, to create an artificial reef and scuba diving site. Before scuttling the tugs underwent a clean-up operation and were made safe both environmentally and for divers. St. Michael wreck is 20 m long and lies upright on flat sandy bottom at a depth of 22 m, with the uppermost part at around 17 m. This tugboat is situated approximately 15 m from the reef; when visibility is good the wreck can be seen from the reef, but visibility in Marsaskala Bay is not as good as elsewhere in Maltese islands. Tugboat 10 is about 50 m west from the stern of St. Michael and closer to the reef. 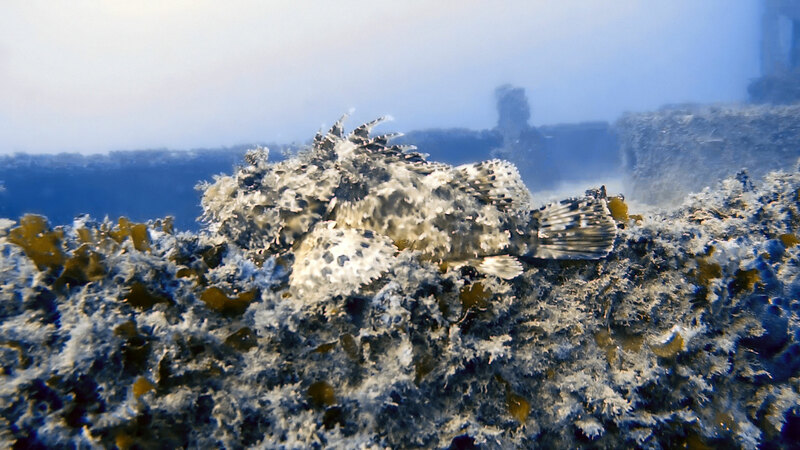 Both wrecks are usually visited on the same dive. Tugboats St. Michael and 10 are now partially covered with sponges and corals, creating a lovely artificial reef and an oasis for a variety of marine life. They have transformed an ecologically barren seabed into a shore diving location accessible for divers of all levels, providing excellent opportunities to practice wreck dives at medium depths. The tugboats are also sheltered from the north-westerly winds, making this a popular dive site during the summer months. 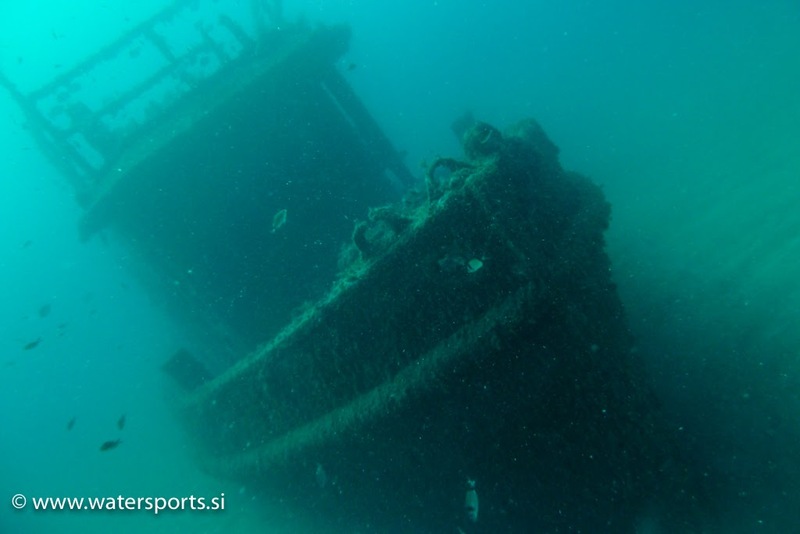 St. Michael and Tug 10 are some of the few shallower wreck dives in Malta, suitable for PADI OWD or equivalent. Other shallow wrecks are Tug 2, another tugboat scuttled in 2013 off Exiles in Sliema, and World War II wrecks HMS Maori off Valletta and X127/Carolita off Manoel Island, both in Marsamxett Harbour. St. Michael was built in 1944 in Trenton, Ontario, Canada by Central Bridge Co. for British Ministry of War Transport. She was a Tanac type tugboat, one of 265 (230 steel and 35 wooden) built in 1943-45, about 20 m in length with a beam of 5 m. The tugs were delivered as deck cargo to various locations including Malta, Gibraltar, Far East, and the ports along the African coast, and did service for the Royal Navy during the Second World War. When the war ended, most of the Tanac tugboats were sold in the countries where they happened to be serving. Tugboat St. Michael worked for many years in Malta towing numerous ships in and around Grand Harbour of Valletta. Then she was moored at Jetties Wharf in Marsa next to the old power station together with Tug 10 awaiting their fate. Subsequently they both sank at their mooring, remaining partly submerged for many years on the seabed as there were only a couple of metres water below them. Later the tugboats were bought by a local Maltese shipyard Cassar Group. 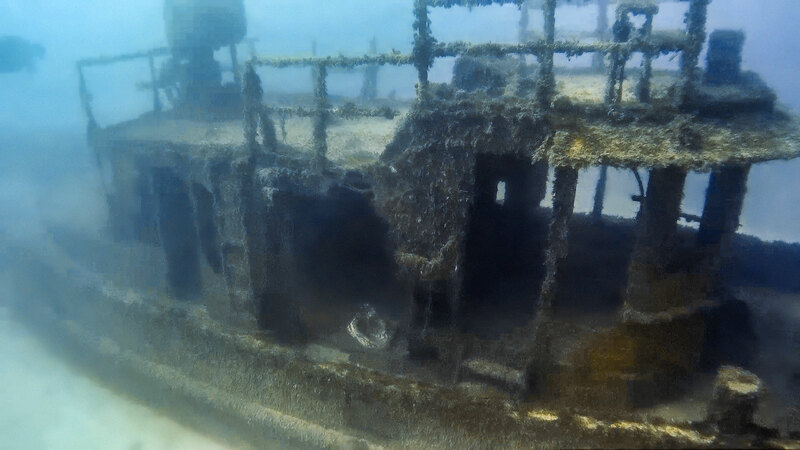 In November 1996 the directors of Cassar Group donated tugboats St. Michael and 10 to the diving community to be scuttled as artificial reefs, offering also to carry out the cleaning, towing and scuttling of the tugs. 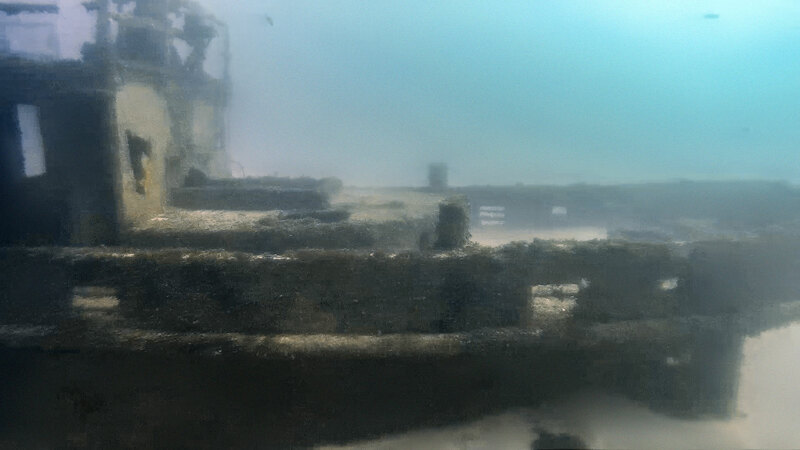 Once the Planning Authority gave the permission for the project to proceed, the two tugboats were lifted from the waters of Marsa and cleaned of hazards, both to divers and the environment – all glass, doors and hatches were removed and some passageways opened for divers to explore the wrecks safely. St. Michael and Tug 10 were scuttled on 16th May 1998 at Zonqor Point, on the north side of the entrance to Marsaskala Bay. The location was chosen for various reasons: the dive site is sheltered from north-west winds, the seabed was just barren sand, and the depth is about 20 m, within reach of also the not so experienced divers. 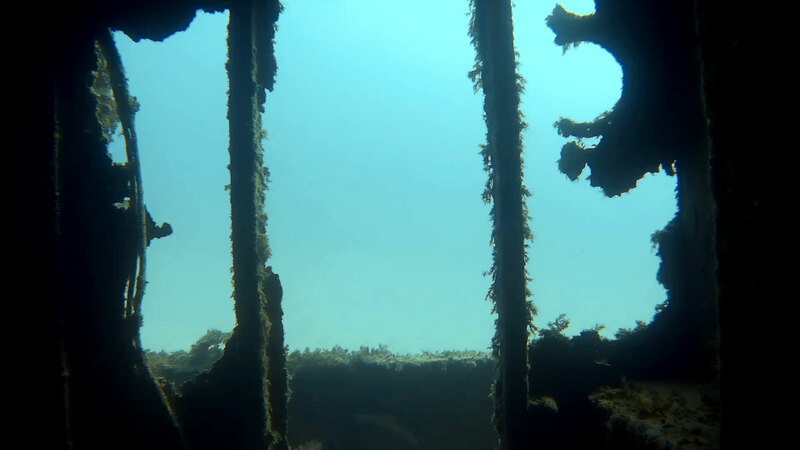 Both wrecks are sitting upright and parallel to the reef. The bows are pointing out of the bay and the two tugs are lined up, St. Michael in front of Tug 10, the distance between them being around 50 m.
★★★☆☆ We were on this wreck in october 2016 and also today. What a difference. One year ago good visibility, today....bad. 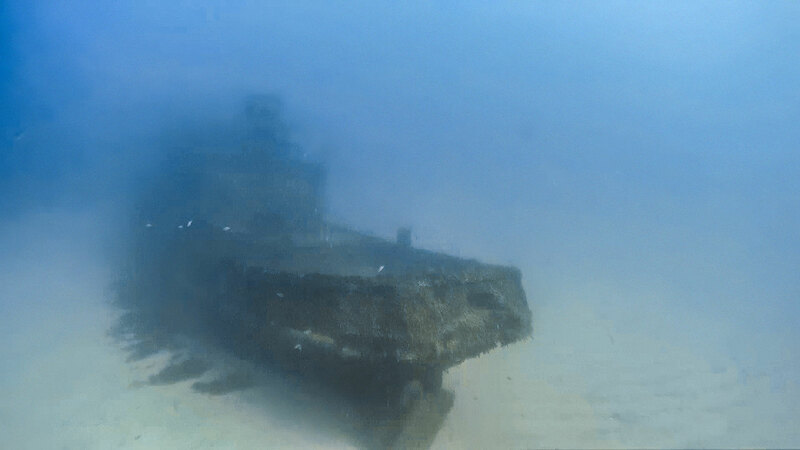 Still interesting wreck, even around was quite bussy with optocuses, groupers, school of fishes. ★★★☆☆ Quite small wrecks and often a bit bad visibility.